31-year old woman who had surgery to fix upper eyelid ptosis but the surgery was unsuccessful. Bilateral upper eyelid lash ptosis. Bilateral loose upper eyelid platform skin. Bilateral anterior levator resection ptosis surgery. 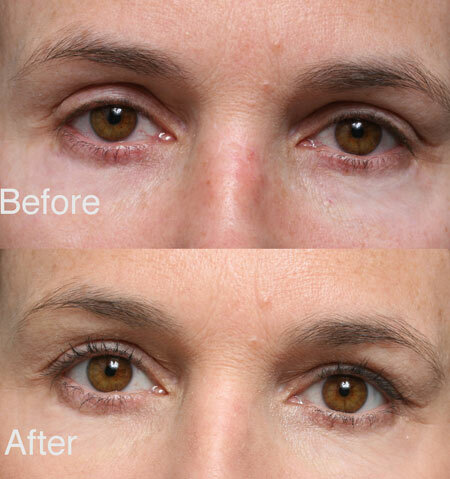 Upper eyelid crease lowering surgery. It is very frustrating to have a surgery that not only does not work but actually makes you worse. The good news is that Dr. Steinsapir is not only able to make these situations better, but the result of revisional surgery can actually be everything you were hoping to accomplish with surgery in the first place. It all starts with a personal consultation between you and Dr. Steinsapir. 44-year old woman who had 7 surgeries to fix upper eyelid ptosis. She was left without upper eyelid folds. She was unhappy with the shape and contour of the upper eyelid. The eyes always feel tight. Bilateral anterior levator aponeurosis reconstructive ptosis surgery. The patient had no expectation that Dr. Steinsapir would be able restore her upper eyelid folds. He was able to due this using the advance upper eyelid reconstructive methods he has pioneered. In addition to the cosmetic improvement, the sensation of tightness she chronically experienced is resolved. 44-year old woman who had upper eyelid surgery 15 years before. She felt that her prior surgeon took out “all of the fat.” She felt that the upper eyelids were dull and lifeless. Bilateral anterior levator aponeurosis ptosis surgery. Before surgery with Dr. Steinsapir, the upper eyelid and upper eyelid lashes which are droopy shade the top of the cornea. This makes the eyes look dull and lifeless. By lowering the upper eyelid crease, repairing the ptosis and eyelash ptosis, the improved position helps restore the jewel like quality of the eyes. 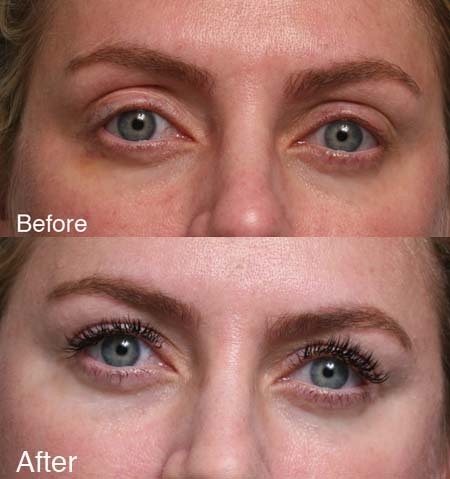 During surgery, the scared fat that is matted down is mobilized helping restore volume to the upper eyelid fold. 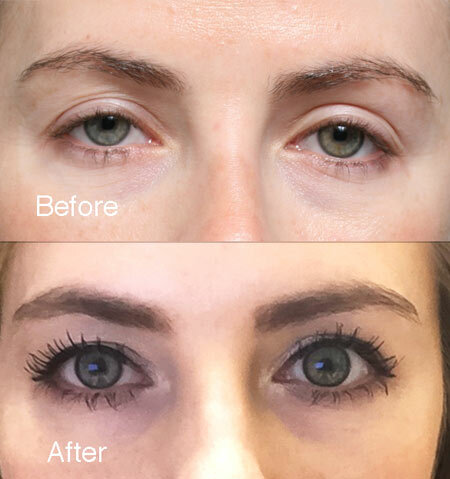 31-year old woman who had upper eyelid surgery that left the upper eyelid heavy and asymmetric. 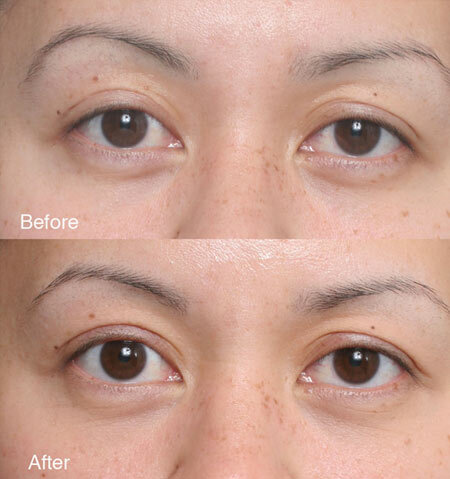 Crease lowering surgery was performed together with upper eyelid ptosis surgery. This allows the eyebrows to relax to a more natural position.